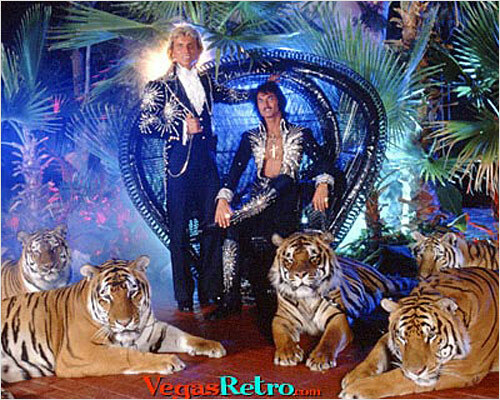 Robert Scott Hooper took this photo at Siegfried & Roy's home in Las Vegas, in the middle of the night, as many sessions were, to accommodate their performance schedule. The cats were rowdy that night, owing to the fact that the two female cats in this photo were in heat. At one point our crew was sent into the house while Roy and the trainers got the cats settled down. A healthy respect for these magnificent tigers is something we learned early on when shooting Siegfried & Roy. I would like to say that Siegfried and Roy are the sexist Magicians in the history of the universe and I would like to meet them in person. You may want to read their new book first?